After our visit to the UP of Michigan we stopped briefly at Superior Falls. I has hoped that the water level was low enough to work my way up river to get a good view of the falls but the water was too high. Another younger photographer was able to work his way up river and managed to get some good shots. The waves were really pounding. We had high waves for several days on this trip. There was not a lot of color but I managed to capture what little color there was. Last weekend we drove over to Ironwood to ski on the ABR Ski Trails. 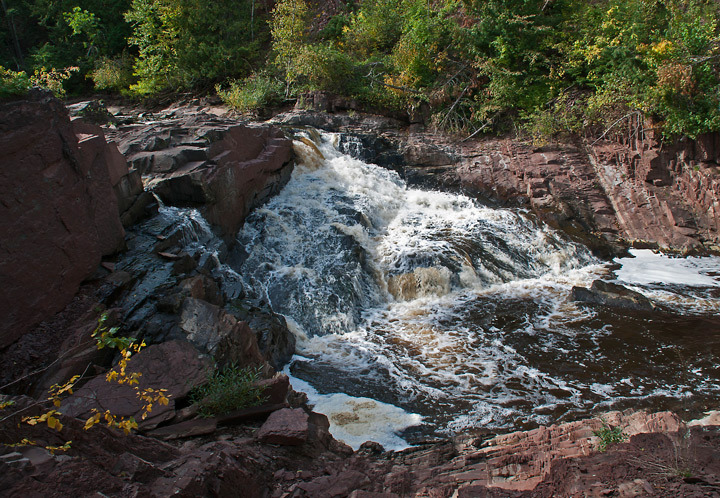 On the way we stopped at Superior Falls. I was looking for a particular picture but conditions were not quite what I expected. I was only about 2 above at the time so I only snapped a few photos before heading off for Ironwood. 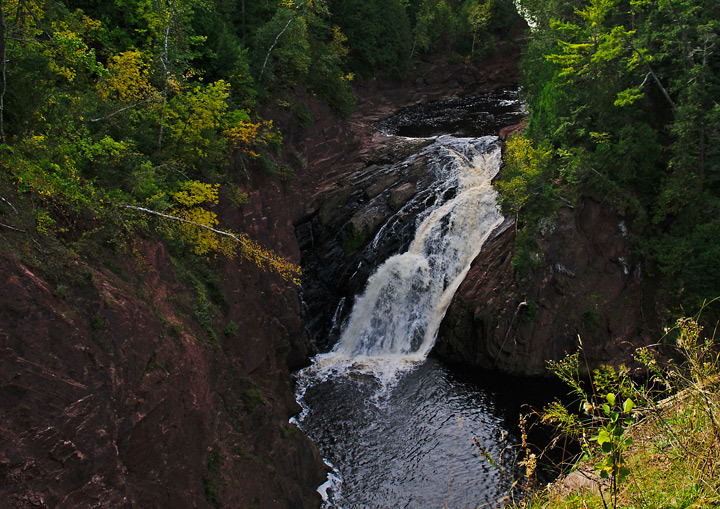 My wife and I stopped at Superior Falls this past week. 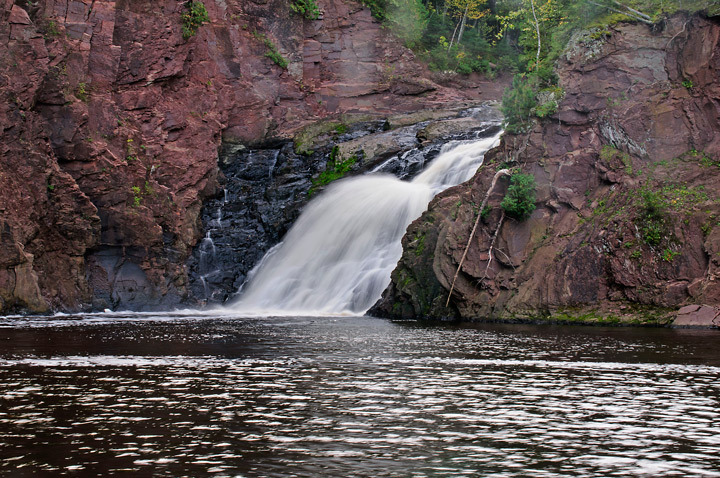 The falls is located at the mouth of the Montreal River where it enters Lake Superior. It borders Michigan and Wisconsin but is best seen from the Michigan side. Depending upon water levels you can get some good shots of the falls from the bottom of the falls. There are also trails along the top of the falls that offer some good photo opportunities.